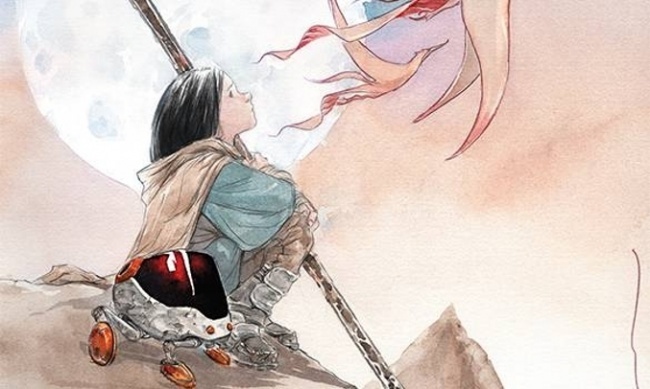 Image Comics will launch Jeff Lemire and Dustin Nguyen’s Ascender series on April 24. 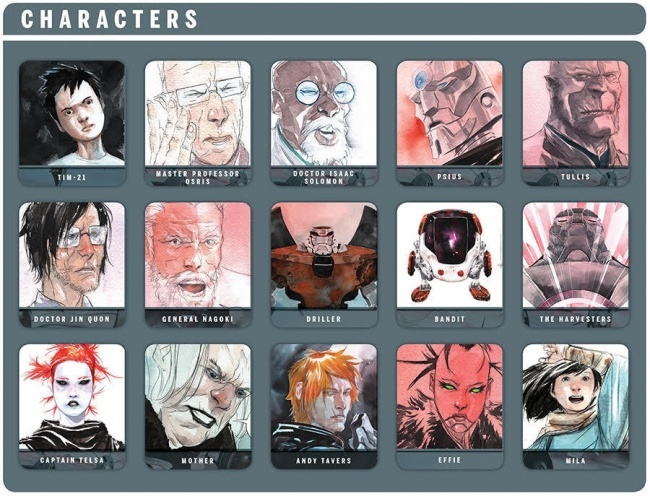 The sequel to the popular Descender series was announced last summer (see “The End of 'Descender' Means It's Time for 'Ascender'”). 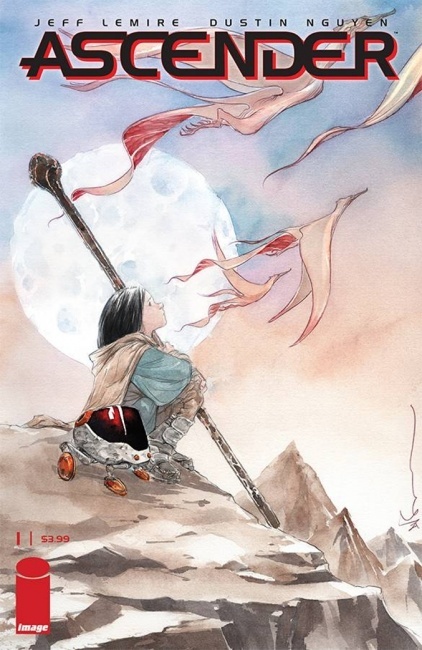 The new series is set 10 years after the conclusion of Descender, in a universe where magic has replaced machinery and the rules are very different from what they once were. Andy and Effie’s daughter Mila, explores the wilds of the planet Sampson to fill her time, while avoiding the vampire witch Mother. Then Andy’s robot friend, TIM-21, reappears, kicking off an epic fantasy saga.